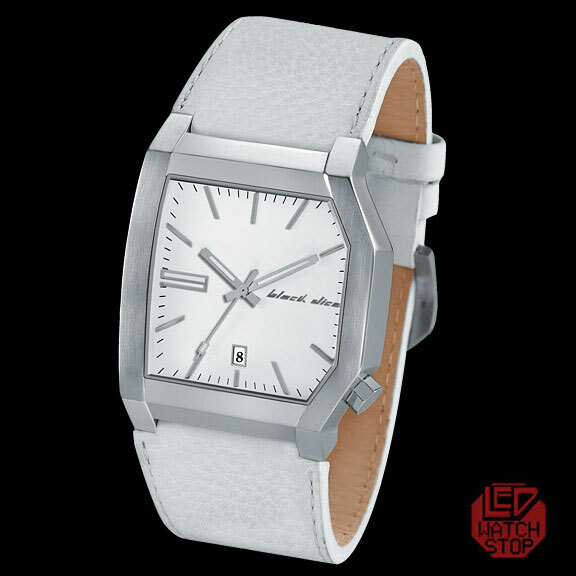 This version of EDGE features a highgrade chunky silver stainless steel case with a suple & comfortable white genuine leather wristband secured by a heavy duty pin buckle clasp. The asymetric face is white and sports silver metallic markings & luminous hour/minute/second hands, while boasting an easy to read day of month indicator as well. 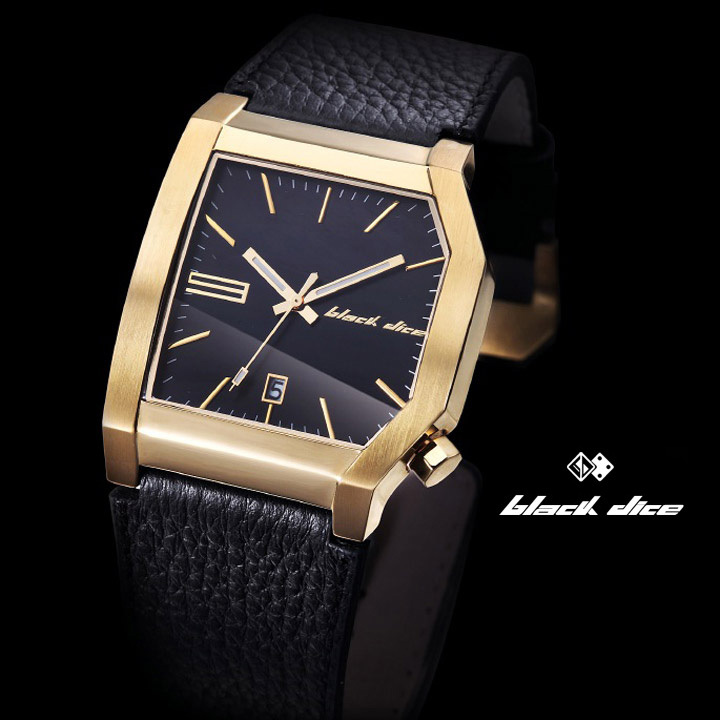 All expertly blended with a touch of trendsetter attitude; step up and roll with your Black Dice!